An air duct system that’s properly sealed and insulated can make your home more comfortable, energy efficient, and safer, and improve your indoor air quality. Triple H Home Efficiency Experts has the equipment and training to accurately diagnose your ductwork problems and provide safe and effective duct sealing and duct insulation services. Contact us today to schedule your free on-site evaluation and estimate! 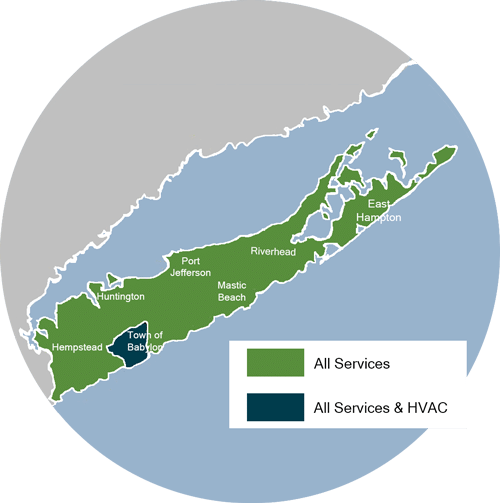 We are your qualified professional for HVAC services in Brookhaven, Islip, Huntington and surrounding areas. Duct Sealing: We perform air flow and leakage tests as well as seal air leaks and connections to help improve the performance of your ductwork and heating and air conditioning system. 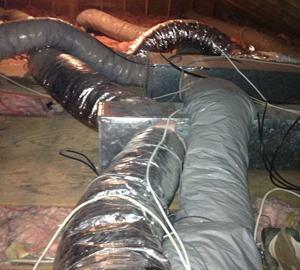 An unconditioned attic can be a major issue for heating and cooling ducts located within. 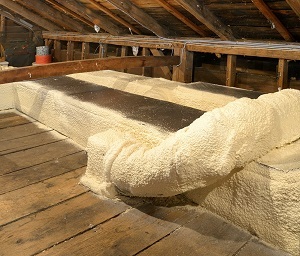 The lack of conditioning will cause the attic to be extremely cold in the winter and warm during the summer. This in turn will cause expensive heat loss and heat gain in your duct system. Do you have an uncomfortable home during the winter or summer, rooms that don't heat or cool evenly, or high energy costs? Triple H Home Efficiency Experts can help. We're experts in HVAC systems, so we are able to identify ductwork problems and provide the most cost-effective solutions. Whether you need ducts sealed or insulated, you can rely on Triple H Home Efficiency Experts to get the job done quickly and efficiently. Contact us today to schedule your on-site ductwork evaluation and free service estimate!